The first choice in window coverings, our Aluminium Blinds combine cost-effective features and fabrication options to offer you versatile window covering options. 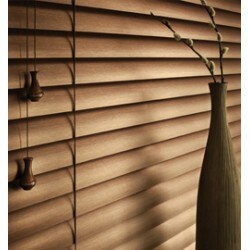 Not only are these blinds incredibly durable, they also provide more energy efficiency option than most window coverings. With a variety of styles and colors, aluminium blinds are a perfect choice to add throughout your home. Mini aluminium blinds have been used for decades, but that doesn't mean minis today are the same as ..